1 : 21120 Triangulation allows the relative location of individual topographical features to be plotted accurately. This drawing shows the primary triangulation of southern England, the lengths of the sides of each triangle being noted. 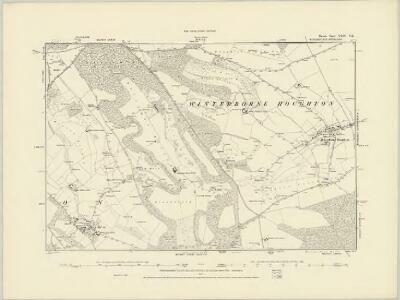 Stations shown include Dunnose, Bagshot Heath, Inkpen Hill and the Salisbury Plain base. The points of the triangles provided the surveyor with references to which, by measurement or angular observation, he could precisely relate the position of other topographical features. Angular observations were made using a theodolite. Triangulation points were carefully chosen. Elevated sites were preferred where possible, particularly the tops of hills and church towers.